Materialism “regards matter and its motions as constituting the universe, and all phenomena, including those of mind, as due to material agencies, while matter is: “the physical substance in general, as distinct from mind and spirit; (in physics) that which occupies space and possesses rest mass, especially as distinct from energy”. Materialism extended by physicalism and naturalism are generally opposed to dualism, idealism, monism, pluralism… The debate is as old as humanity and the number of related concepts is so large because the debate is mostly philosophical. And while we cannot test axiomatic views, we can examine matter to learn its properties, many of which have recently been reassessed. Matter is actually immaterial when observed at the smallest subatomic level. What we feels as “solid” are electromagnetic forces like the force of repelling magnets that do not actually touch. Energy is not matter despite E=mc2 because the subatomic particles have discrete, specific energy values (which is zero for photons and gluons) and have additional properties like charge and spin. 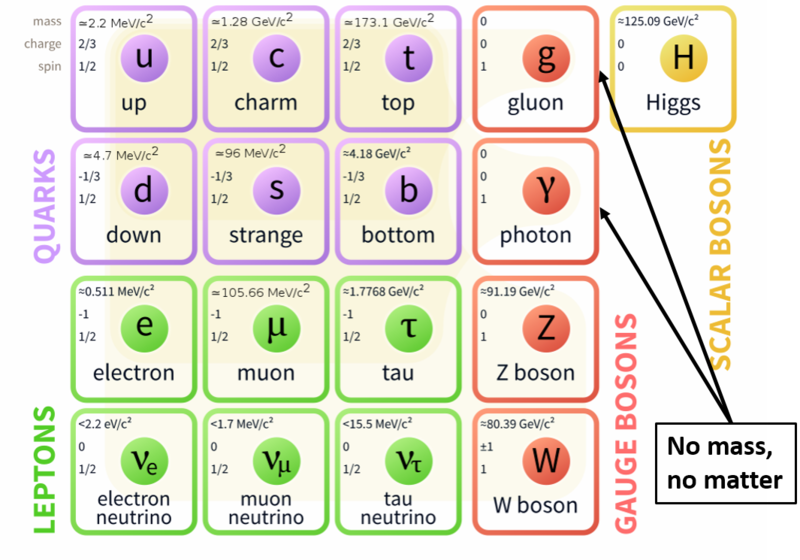 Some physicists consider the Standard Model of particle physics to be ad hoc and inelegant, requiring 19 numerical constants whose values are unrelated and arbitrary. 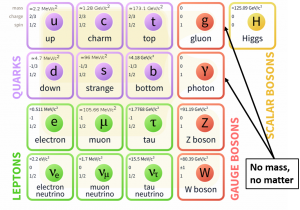 Several other theories beyond the Standard Models have been proposed, yet none of them will bring back “matter” as was imagined before modern physics. Physicalism and naturalism seek to maintain the artificial distinction between “natural” and “supernatural” given the evidence that matter is actually itself immaterial. Both physicalism and naturalism rely on “physical laws” (“natural laws”) which we do not fully (if at all) understand and which may or may not be “supernatural” products. Historically, the artificial “super/natural” distinction has shifted by relabeling more of what seemed “supernatural” (such as nuclear energy) as “natural”. This is taken by those that created the artificial divide in the first place (the materialists) as evidence that the “supernatural” is just a shrinking knowledge gap. But we will likely learn instead that “natural” and “supernatural” are one and the same just as we see matter being immaterial and determinism being superseded by quantum uncertain. Posted in Views and tagged materialism, naturalism, physicalism.